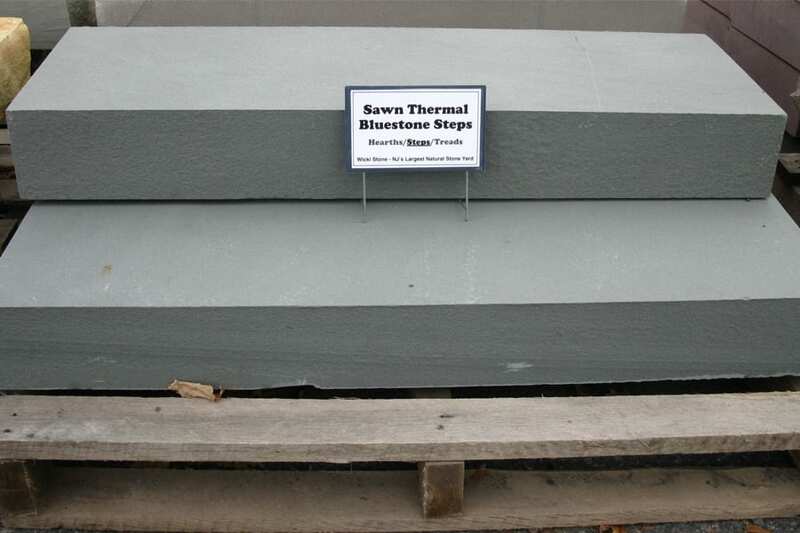 Sawn Thermal Bluestone Natural Stone Steps are sawn and heat treated on all four sides and top and bottom. These are dimensional, precisely cut steps with a sawn thermal finish. The color is the blues and grays of bluestone, the sawn thermal finish is smooth without being slippery. 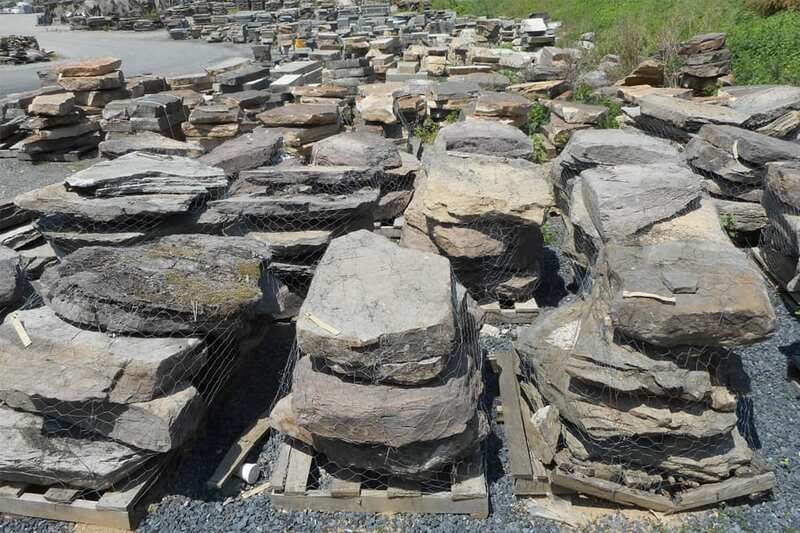 These are beautiful individual pieces of stone and they mix well with our whole line of bluestone products. Sawn and then heat treated to add texture to the surface. 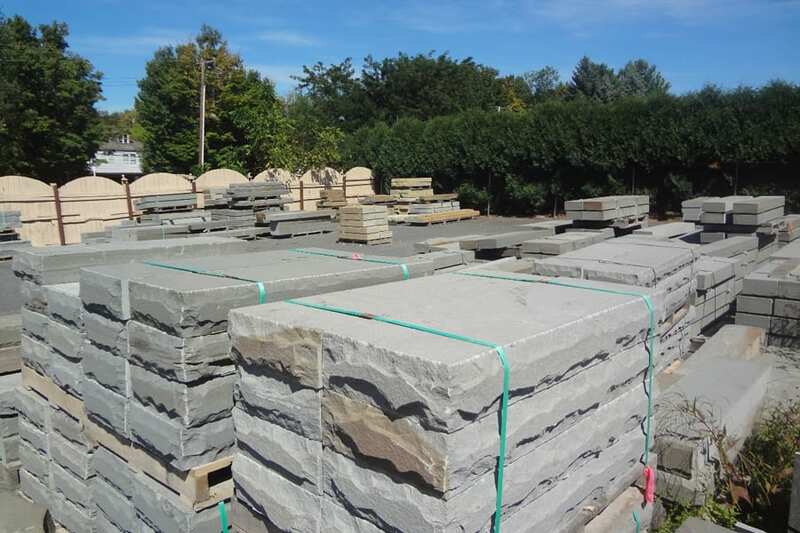 These are beautiful blocks of stone that make an elegant, and refined natural stone step. Bluestone is sawn on all 6 sides and then heat treated to add a light texture. Top and bottom steps are smooth but not slippery.